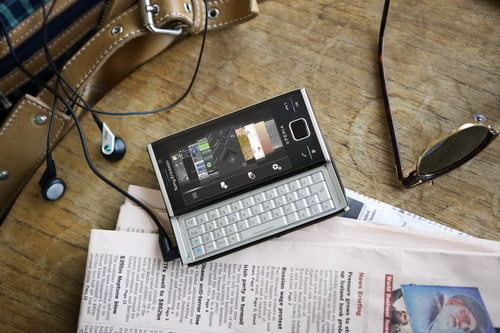 One of the few really attractive WM-powered devices, plenty of metal parts and neat design elements. 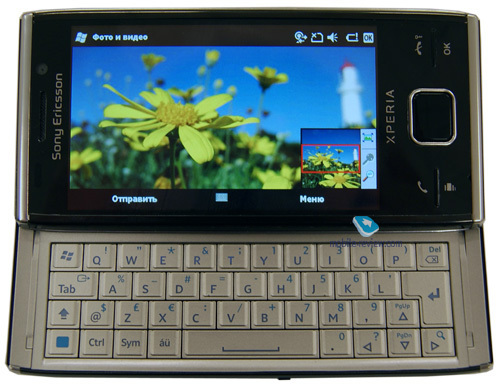 Custom themes and ring tones, that, however, did a poor job of covering up the phone's pathetic interface. Panels: despite some things that made no sense at all, the audience liked the idea. 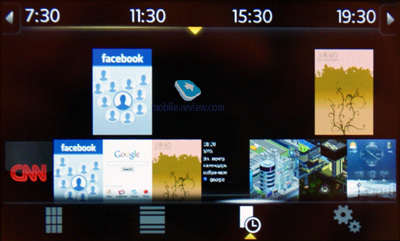 In fact, these Panels provoked some to dig deep into the Xperia, and their efforts resulted in the adapted version of HTC's user interface. 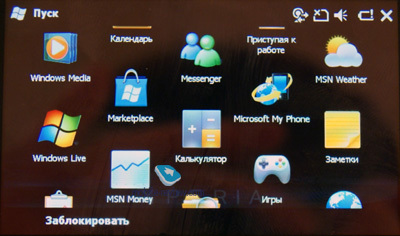 By the way, it works very well on the X1. 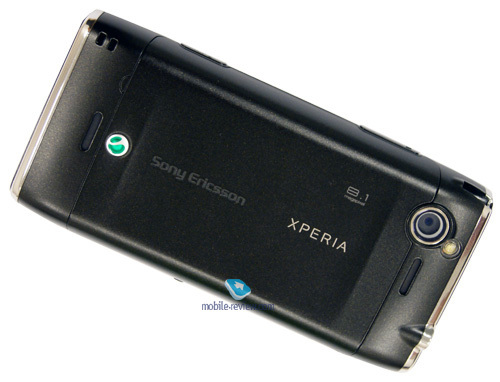 miniUSB slot and a standard 3.5 mm audio jack, that made the X1 Sony Ericsson's first "smart" phone to have a "complete" music department. 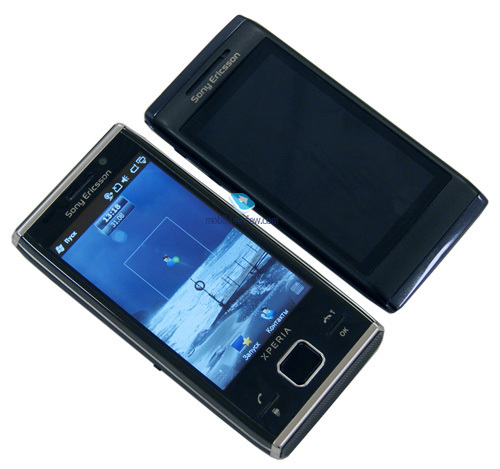 Plenty of memory onboard, microSD memory card slot and a 8 Gb card in the box. Outstanding multimedia department - decent display, good audio quality and an okay camera. A couple of flaws in design: some of the X1's plastic parts weren't sturdy enough, poor battery cover coating that peeled off with time and so on. 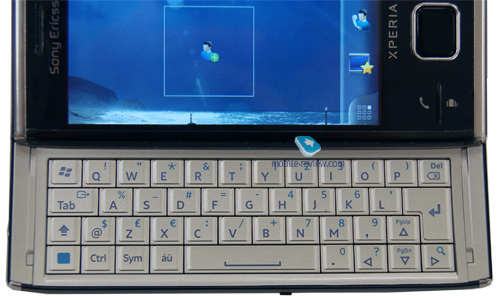 Fiddly and stiff functional buttons, no "Arrow" keys on the QWERTY keyboard. Display recessed into the casing - dust in the corners, not so finger-friendly… you know what I mean. 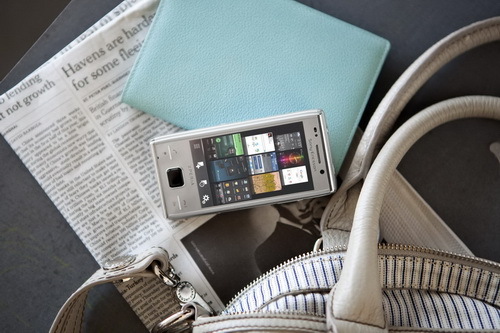 Despite its pretty looks, the X1's casing was relatively chunky, which made it almost impossible to carry it in, say, a jeans pocket. . 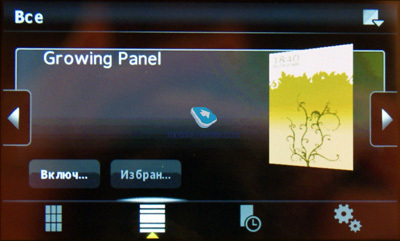 It was impossible to have two or three panels running at a time and some illogical things about them (closing the multimedia panel caused the playback to stop, even though tracks are played by Windows Media in the X1). 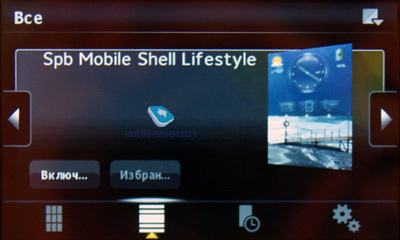 Poor battery time - when we got heavy on its multimedia features and such it lasted only one day. 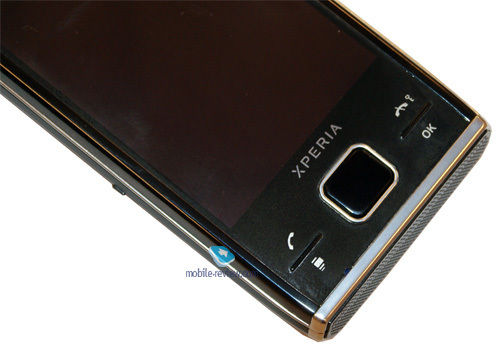 One of the worst drawbacks - SE banked on the Xperia as a PR project, but although it had been announced back in the beginning of 2008, it made it to the shelves of retail stores only in spring of 2009. Theoretically, it could've gotten better over that time span, but the X1 didn't change a bit. A year in the telecom market is quite a lot of time, actually. Another misstep - pricing policy. Unreasonably expensive, even these days. There is a good chance that it'll only last till the Christmas season and then disappear for good, or it'll be withdrawn from the market even sooner. 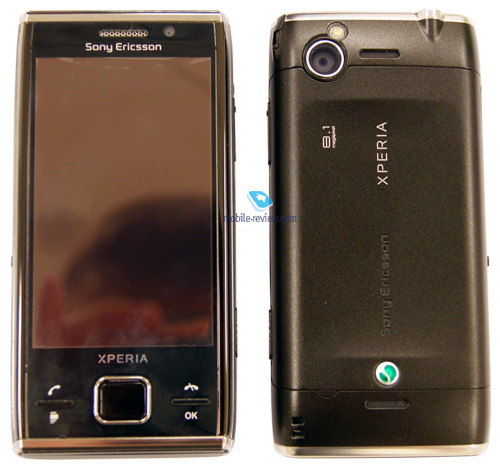 And now let's have a look at the Sony Ericsson Xperia X2. 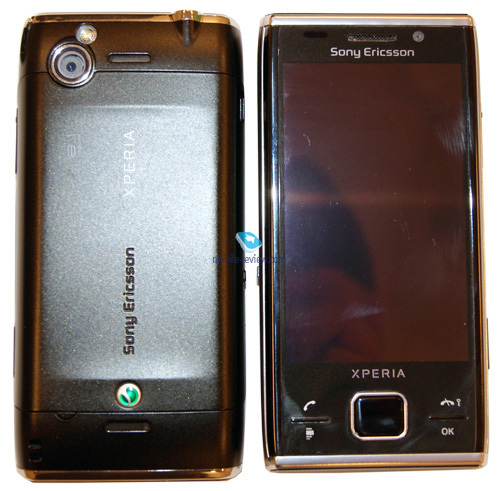 This communicator has been in the works for quite a while now, but this time around Sony Ericsson have decided not to make another PR project out of it, even though they did "leak" some secret images of the phone, that, however, didn't generate even a bit of hype in the circle of Sony-boys. 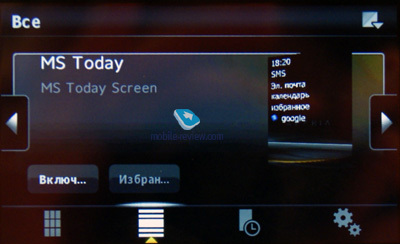 Nobody seems to be overly enthusiastic about the X2 and the most recurring comment one can hear about it is: "They should've put Android into it instead of WM". And unfortunately that's true. They should have. 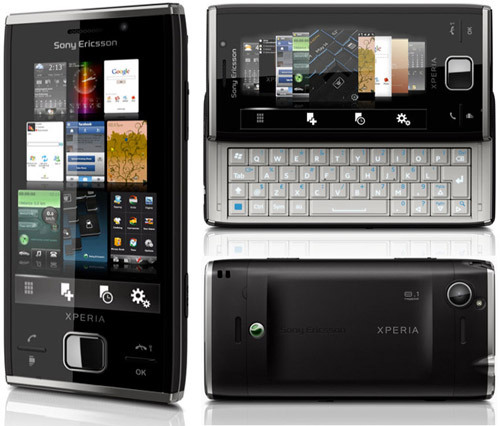 The phone's design has changed a lot. 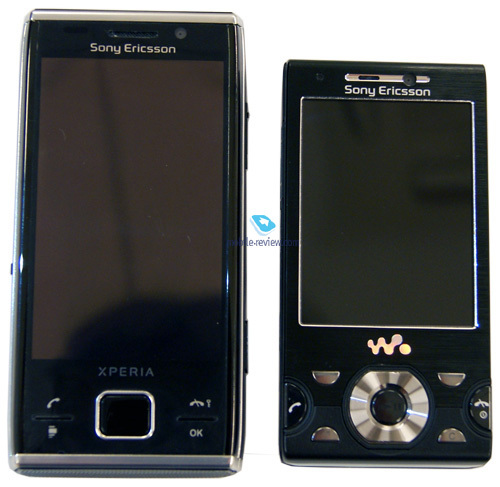 Furthermore, the X2 and Aino are, to some extent, the prototypes of what we'll see in 2010, first signs of the new trend in Sony Ericsson's phone design. While the X1 was compact, but clunky, the X2 is by no means svelte. 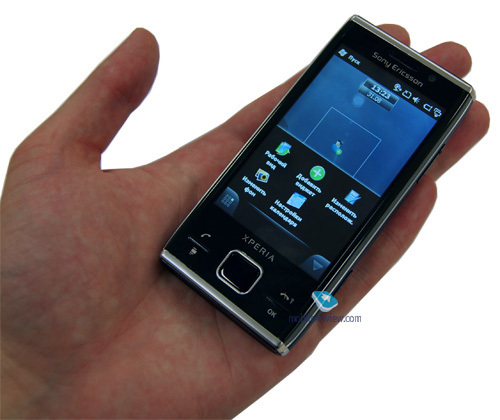 It's about the size of the iPhone, and at the same time reasonably thin, which makes it a lok easier to carry it in a jeans pocket. Its metal casing isn't a finger print magnet, but the X2's display really is one - all greasy spots are well-visible on it. But thankfully the display is now mounted flush with the rest of the casing, so wiping it dry is a breeze now. 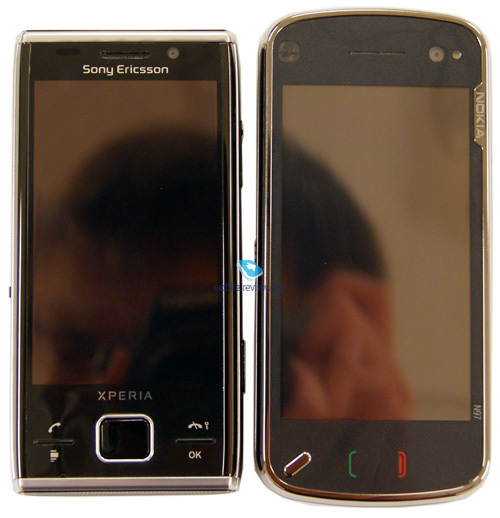 As for the X2's look-and-feel, it's difficult to mistake it for an HTC device or someone else's for that matter. 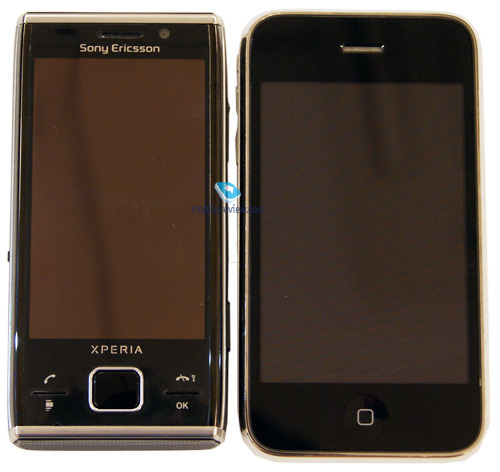 The phone measures up at 110x54x16 mm and tips our scales at 155 grams. It'll come in a choice of two colors (blank and silver, although personally I like the latter more). 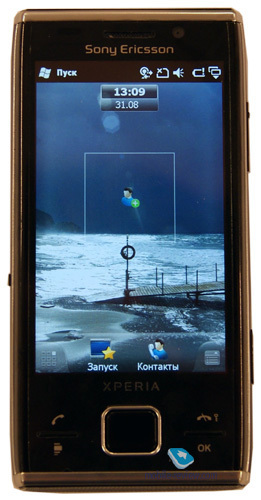 3.2-inch display with a resolution of 480x800 pixels. Did I say it's not sunk into the casing? Much like the X1, the X2 leaves a very favorable impression on this front and has just the right type of screen for watching videos. The functional keys have been thoroughly reworked - now they are a hundred times easier to handle. It might seem that they are touch-sensitive, but that's not the case. I can't say much about the X2's optical joystick - at this stage it performs well, but they will keep working on it, so more changes to come. 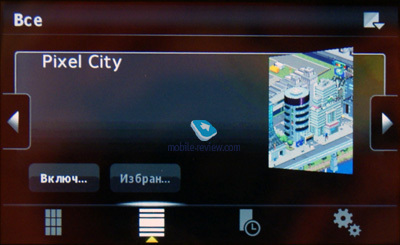 The user gets access to 110 Mb of storage out of total 512 Mb; plus there is 256 Mb of RAM. 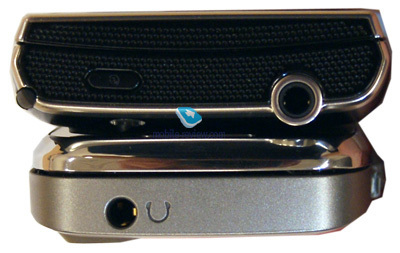 Housed on the left-hand side is the microUSB socket, which is a fine and logical replacement for miniUSB slots. Standard 3.5 mm audio jack, accepting any type of earphones; new headsets with 3.5 mm plugs will arrive pretty soon too. There are two loudspeakers found around back. 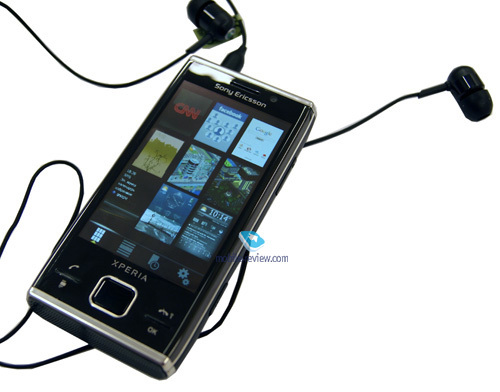 While with the X1 you could muffle the ringtone sound with one finger, the X2 doesn't let you to pull off the same trick - it's pretty loud and reminds of the W995. Splendid keyboard. 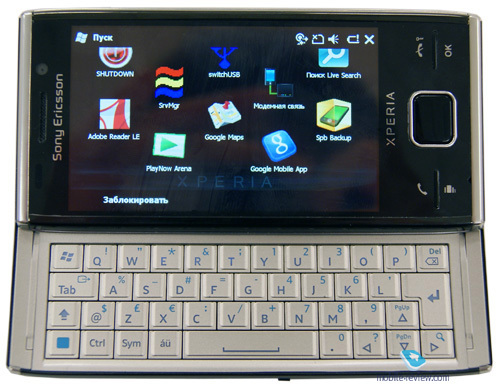 I don't know how Sony Ericsson are going to handle its localization, but as far as tactile feedback is concerned, the X2 passes our test with flying colors, and it's got the "arrow" keys! 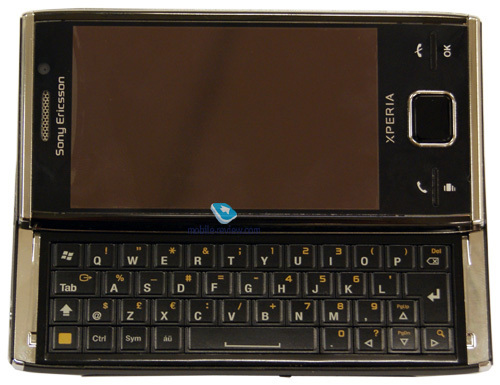 Plus, because the phone has added a couple of millimeters here and these, its keyboard has become more spacious, and thus more comfortable too. 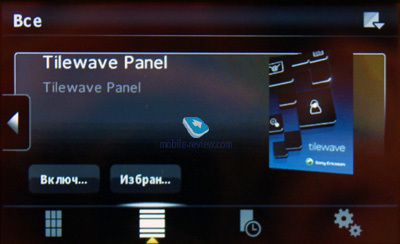 Panels - the X2 comes packaged with over a dozen of panels, plus 16 more are available for download. As it stands today, the list is as follows: CNN Panel, Tilewave Panel, Professional Panel, Growing Panel, Lifestyle Panel, Pixel City Panel Day, YouTube™ Panel, Facebook™ Panel, Skype Panel, Google™ Panel, Support Panel, Gokivo Navigational Panel, Today Screen Panel, Dashwire Panel, Windows Live Panel, SlideShow Panel, Evernote Panel, Mytopia Panel, Monster Panel, Sony Ericsson Panel, Fish Panel, Cool Hunting Panel, Twitter Panel, Linkedin Panel, Clock Panel, Amazon Panel, eBay Panel, Spb Traveller Panel, On-The-Road Panel, Last.FM Gig Finder Panel. 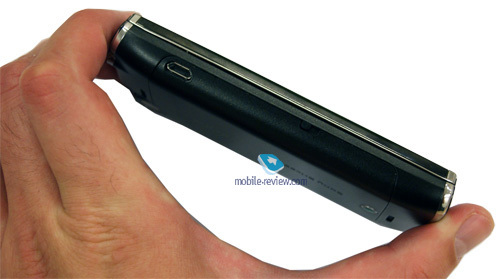 1500 mAh battery rated for 10 hours of talk time and 500 hours of standby (GSM), plus music time of 20 hours. As far as I'm concerned, these are pretty decent numbers for device with so many antennas inside. 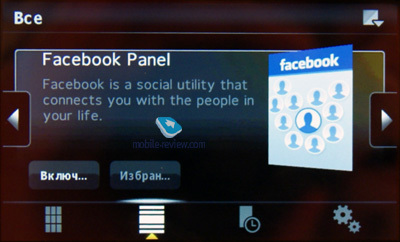 Naturally, it comes equipped with Bluetooth, Wi-Fi, 3G wireless connectivity. What CPU does the X2 run on? 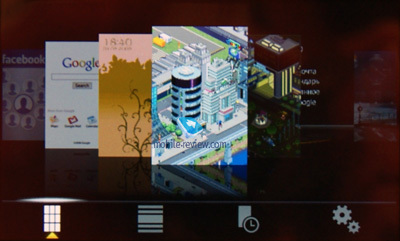 It is pretty fast and swiftly rotates the image when you flip it open or navigate the menu. 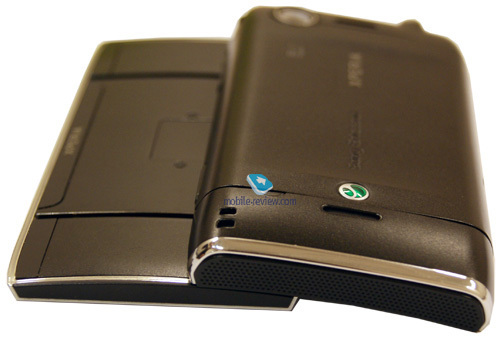 Although probably it it's built on the X1's platform, Qualcomm MSM 7200A with a 528 Mhz CPU. 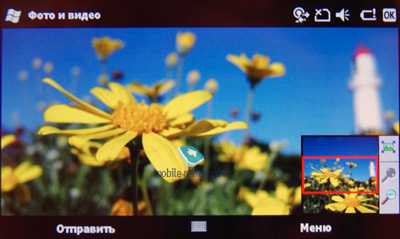 Have you noticed that it says "8 MP" right next to the camera module? 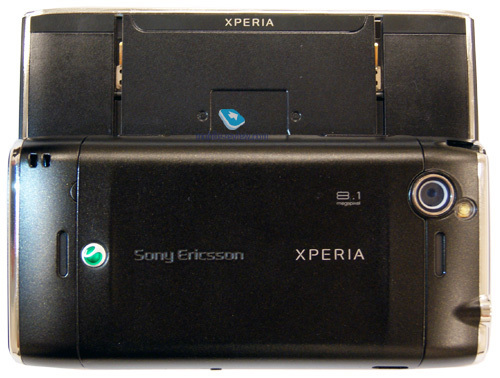 That's right, eight megapixels with autofocus, although it's still not clear what module the X2 utilizes and how it works. The X2's estimated retail price will be around the X1's mark. It's set for release in late 2009 or early 2010, plus there is not much enthusiasm around WM, so it's very easy to predict what will happen next. Pressed by Android-based devices, so-called communicators will have to settle for an even narrower niche with a very vaguely defined audience. Tech geeks and Sony aficionados will find a gold mine in the X2 thanks to its hardware part. 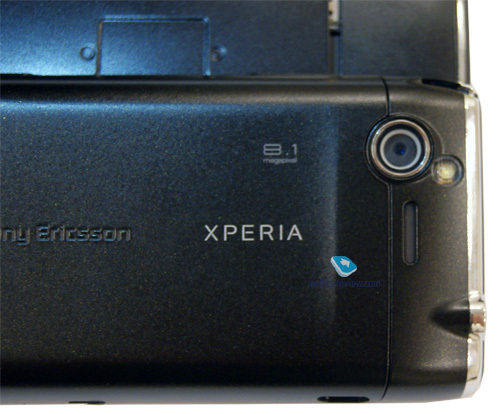 Although I do think that ditching the X2 wouldn't be an outrageous move given the current market conditions - the Sony Ericsson X2 is starting to look like a decent phone, but it'll get a cold welcome.